Gateshead College Apprenticeships are an ideal route for school leavers who enjoy practical learning and want to get out into the world of work whilst gaining professional qualifications. Keen to start your career but have no prior experience? Don’t worry! 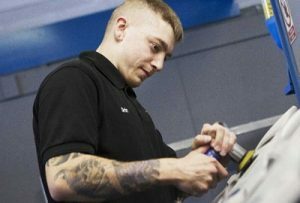 With an Apprenticeship at Gateshead College you don’t need any experience as you’ll be undertaking training to help you to be the best that you can be! What do Gateshead College Apprenticeships involve? Gateshead College Apprenticeships involve a work-based learning programme that combines on the job training with classroom based learning and are designed to help you advance your career while gaining a nationally recognised qualification, highly sought skills and vital work experience while you’ll also get paid! Sound good? Read on to find out what industries you could be working in. During your Apprenticeship with Gateshead College you’ll gain exposure to a range of learning and development opportunities which will help you to advance your career while you grow your talent and capabilities. Want to reach your true potential and career goals? Gateshead College can help you!